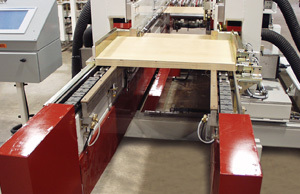 Cabinet Base / Wall End and Back Panel Cell – Creative Automation, Inc. 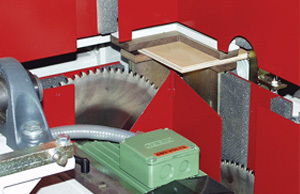 Complete cabinet base/wall end and back panel manufacturing cells are engineered and built by Creative Automation to enable just-in-time production of components by a single operator. 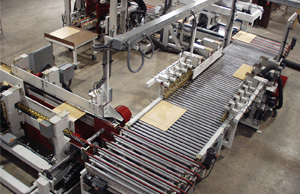 Overhead view of Creative Automation Cabinet Base/Wall End and Back Panel Cell. 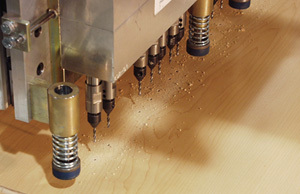 Drill is servo-driven and can accommodate a wide variety of hole patterns.